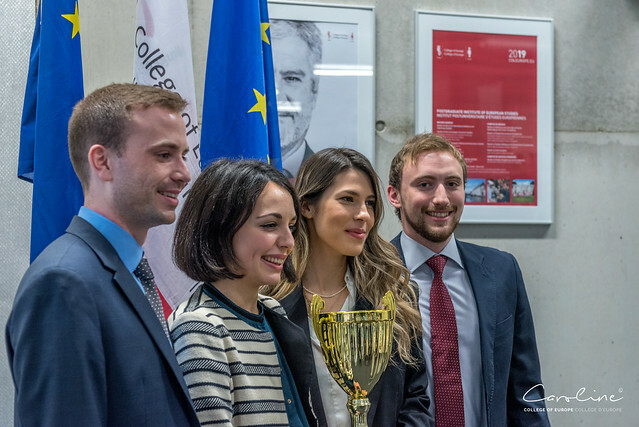 On Monday, 28 December 2018, the first edition of the College of Europe EU Law Moot Court took place, organised by the Department of European Legal Studies. Students had the opportunity to compete on a EU law case through several rounds of oral pleadings. Congratulations to Edita OGRESTA, Mirka OIKONOMOPOULOU-LIMNIOU, Ludovic PASTOR and Tom URI for having won this first edition!